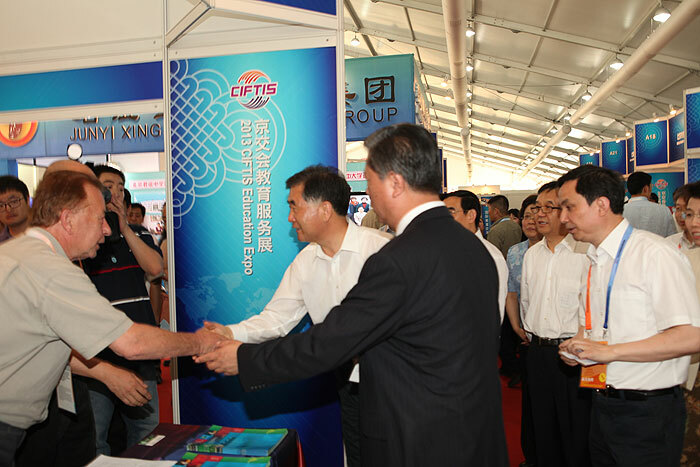 Bob Lajoie , Marketing Manager, met China Vice Premier Wang Yang in the 2013 CIFTIS Education Expo. 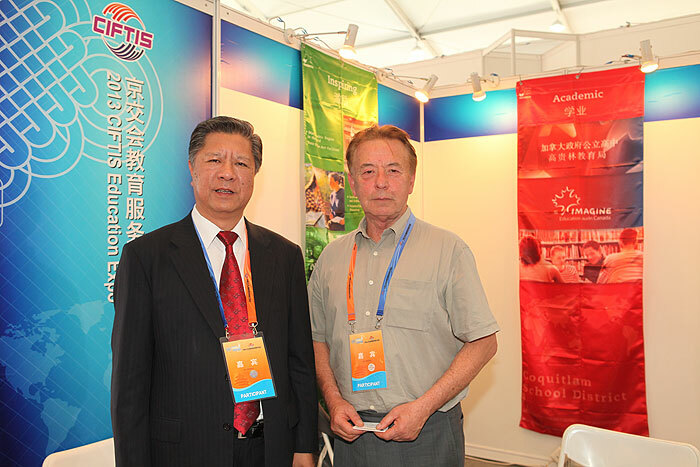 On Thursday May 30， 2013 China's Vice Premier Wang Yang visited the Coquitlam School District 43 booth to meet SD43 marketing manager Bob Lajoie at the CIFTS Education Expo in Beijing. The Coquitlam booth was his only stop in the International Education Pavilion. Coquitlam was selected by the organizing group, China's Education Association for International Exchange because of its long history of cooperation in China's education system, its scope of development cooperation at levels of Education Bureau, Universities and public school associations; as well as its long standing success of the Confucius Institute in Coquitlam. Deputy Secretary General Lin of the China Education Association for International Education visits the Coquitlam booth at the Beijing Fair in 2013 Below. Patricia Gartland, Coquitlam School District Assistant Superintendent/Director of International Education, has been recognized for excellence in the field of International Education in BC. At a BC Council for International Education (BCCIE)’s Summer Seminar, Patricia received the prestigious 2012 BBCIE International Education Distinguished Leadership Award. International education delegates from all of the colleges and universities in BC, as well as some from K-12 public and private schools. Representatives of the Department of Foreign Affairs and International Trade (DFAIT), the Canadian Trade Commission, the Canadian Bureau for International Education (CBIE), Languages Canada, the BC International Trade and Investment Office, the Ministry of Advanced Education, and the Ministry of Education were also in attendance. At the event, representatives from SD43’s International Education Division led a mentoring session for people new to the field and they made a presentation of our Confucius Institute as a model for internationalization. Ms. Gartland represented the Canadian Association of Public Schools – International (CAPS-I) for the National Dialogue on International Education, responding to questions about Education Quality Assurance, immigration and governance structures. In his remarks, Education Minister George Abbott singled out Coquitlam as an outstanding leader in international education in the Province of BC. This was echoed by Ivy Lerner Frank, First Secretary – High Commission for Canada in India, who mentioned Coquitlam as an example of effective collaboration with the Canadian Trade Commissions abroad. 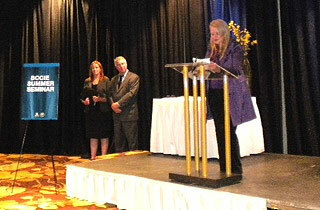 Photo cutline: Patricia Gartland, Coquitlam School District Assistant Superintendent/Director of International Education, doing her acceptance speech for the BCCIE 2012 International Education Distinguished Leadership Award at the Council’s Summer Seminar held this week. Looking on is Kerry Pridmore, Director of International Education, Ministry of Education, Governance and Independent Schools Division, and Randall Martin, Executive Director, BC Council for International Education. *If you have any further questions for Patti, please email her at pgartland@sd43.bc.ca as she is currently out of the office, but will be checking emails.